While NASA is planning to send a successor module to Hubble space Telescope at the same time china is planning its own space Telescope to send up which will be more power full than Hubble. 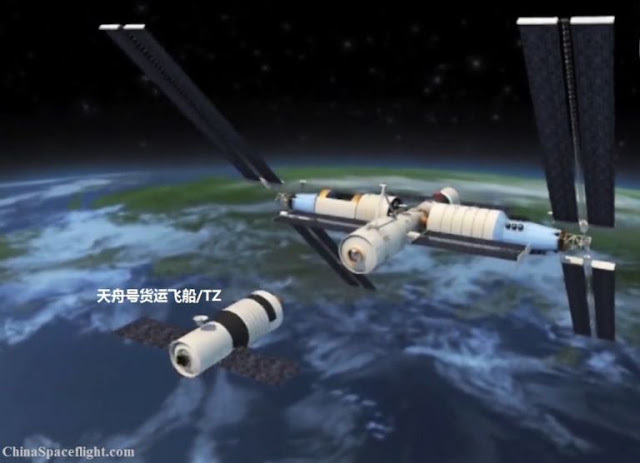 Chinese English news paper said that new space Telescope will be similar to Hubble but its view angle would be 300 times greater than Hubble .The new Chinese space telescope will also have the property to be docked with China’s space station the Tiangong. China’s space stations authorities admitted that the docking ability will not only be wonderful thing but it will also be solution of the problem faced by Hubble space telescope that is to repairing and maintain the telescope. The china National space Administration explained that the repairing problem of telescope will be resolved by docking of Tiangong when and where repairing would be necessary. Up till now no due date has been announced to send Telescope. This plan of sending of Telescope is inter linked with plans of Tiangong space station. Tiangong-1 was launched in 2011 and was used as crewed laboratory and technological test bed. Tiangong-2 will be launched in 2016, which will contain a room for three crew members and will have life containing environments for 20 days. Another planned module Tiangong-3 will be sent up till 2020 and it is hoped that china’s space telescope would launched with one of these missions. The major aim of the Telescope is to take image of area spanning 40 percent of space for 10 years with accuracy almost similar to Hubble. Data acquired from these images will make astronomers understand the evolution and the origin of the universe. The major problem of the project is the lack of complete detail to launch the Telescope in the space .Unlike NASA and ESA, china has to reveal the information regarding dates, timeline and a standard operating procedure in most of space agencies projects. When on one side this lack of detail explains paranoia over spying. It may represent on the other hand China′s tendency to propagandize regardless of consequences (failure or success). China's space technologies compete with India's similar to that between united State and USSR in the past during cold war. Conclusively if china kept on its struggle the whole humanity will be benefited from this revolutionary knowledge.